How long can germs live? Home › Category: Biology › How long can germs live? Germs are bacteria, viruses, and other microbes that cause infections. Some pathogens die almost instantly outside the body, while others may persist for hours, days, or even centuries. How long germs live depends on the nature of the organism and its environment. Temperature, humidity, and the type of surface are the most important factors that affect how long germs survive. Here’s a quick summary of how long common bacteria and viruses live and what you can do to protect yourself from them. In a sense, viruses aren’t exactly alive because they require a host in order to reproduce. Viruses generally remain infectious longest on hard surfaces as opposed to soft ones. So, viruses on plastic, glass, and metal do better than those on fabrics. Low sunlight, low humidity, and low temperatures extend the viability of most viruses. However, exactly how long viruses last depends on the type. Flu viruses are active about a day on surfaces, but only about five minutes on hands. Cold viruses remain infectious around a week. Calicivirus, which causes stomach flu, can persist for days or weeks on surfaces. Herpes viruses can survive at least two hours on skin. Parainfluenza virus, which causes croup, may last for ten hours on hard surfaces and four hours on porous materials. The HIV virus dies almost immediately outside the body and almost instantly if exposed to sunlight. The Variola virus, responsible for smallpox, is actually quite fragile. According to the Texas Department of Insurance, if an aerosol form of smallpox was released into air, experiments show 90 percent of the virus would die within 24 hours. While viruses do best on hard surfaces, bacteria are more likely to persist on porous materials. In general, bacteria remain infectious longer than viruses. 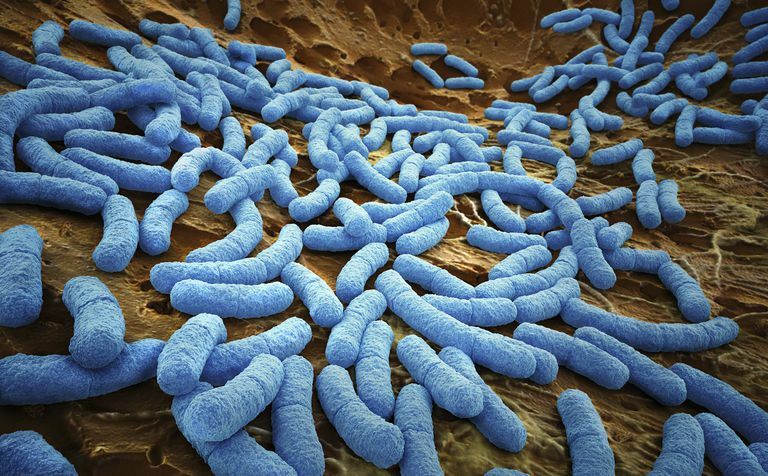 How long bacteria live outside the body depends on how different external conditions are to their preferred environment and whether or not the bacteria are capable of producing spores. Spores, unfortunately, may persist in adverse conditions and for a long time. For example, spores of the anthrax bacterium (Bacillus anthracis) can survive for decades or even centuries. 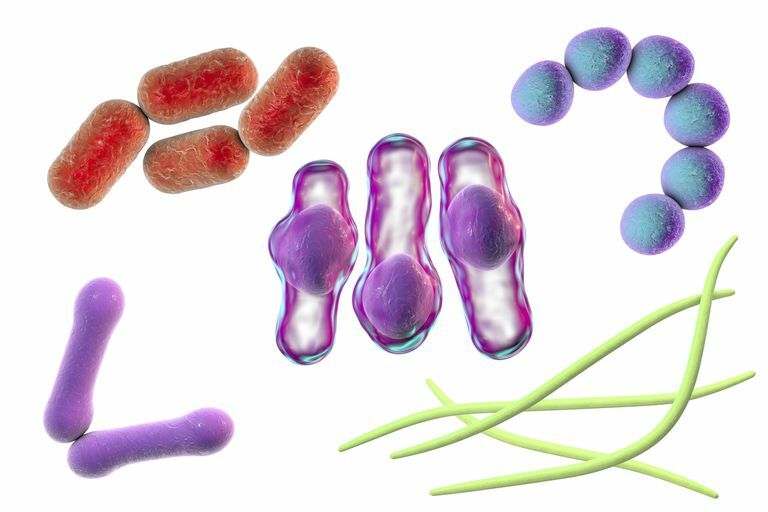 Escherichia coli (E.coli) and Salmonella, two common causes of food poisoning, can live for a few hours to a day outside the body. Staphylococcus aureus (S. aureus, responsible for wound infections, toxic shock syndrome, and potentially deadly MRSA infections) forms spores that allow it to survive for weeks on clothing. According to a study conducted by Anders Hakkansan and his team at the University of Buffalo, Streptococcus pneumoniae and Streptococcus pyogenes (responsible for ear infections and strep throat) can survive on cribs and stuffed animals overnight, sometimes even if the surfaces were cleaned. 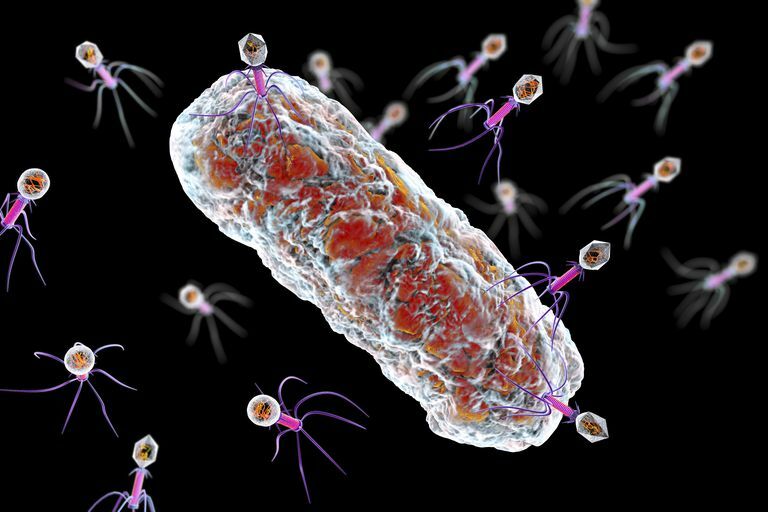 Bacteria and viruses aren’t the only microbes responsible for infections and disease. Fungi, protozoa, and algae can make you sick, too. Fungi include yeast, mold, and mildew. Fungal spores can survive decades and possibly centuries in soil. On clothing, fungi can last for several months. Mold and mildew die without water within 24 to 48 hours; however, spores are much more durable. Spores abound pretty much everywhere. The best protection is to keep humidity low enough to prevent significant growth. While dry conditions prevent growth, it’s easier for spores to circulate. Spores may be reduced using HEPA filters on vacuums and HVAC systems. Some protozoa form cysts. Cysts are not as resistant as bacterial spores, but they can live for months in soil or water. Boiling temperatures typically prevent protozoan infections. Your kitchen sponge is a breeding ground for germs because it is damp, nutrient-rich, and relatively warm. One of the best ways to limit the life expectancy of bacteria and viruses is to reduce humidity, keep surfaces dry, and keep them clean to reduce nutrient sources. According to Philip Tierno, director of microbiology at the New York University School of Medicine, viruses may live on household surfaces, but they quickly lose their ability to duplicate themselves. Humidity under 10 percent is low enough to kill bacteria and viruses. Simple hand washing with soap and water is your best defense against picking up germs. Disinfect surfaces to kill unwanted pathogens. Bleach and alcohol are two common household disinfectants. Wash fabrics that may be contaminated using hot water (60°C or 140°F) and bleach. The heat of a clothes dryer also helps kill bacteria and viruses. It’s also important to note being “alive” is not the same as being infectious. Flu viruses may live for a day, yet pose much less threat even after the first five minutes. While a cold virus may live for several days, it becomes less infectious after the first day. Whether or not germs are infectious depends on how many pathogens are present, the route of exposure, and a person’s immune system. Germs include microscopic bacteria, viruses, fungi, and protozoa capable of causing an infection. Most viruses remain active for less than a day. They survive best on smooth, hard surfaces. Bacteria thrive on moist, porous surfaces. Those that form spores may remain infectious for weeks or longer.